Mariners are advised of a firework display off of a barge on Van Cleef Lake on Thursday, August 20th at dusk. Mariners transiting through the area are to maintain a safe distance from the barge, travel at a ‘no wake’ speed of not more than 5 mph, and be aware of denser than usual traffic and anchored spectator boats in the area. Chart 14786 CS-4 covering the affected area can be found at http://www.canals.ny.gov/navinfo/charts/14786cs4.png. 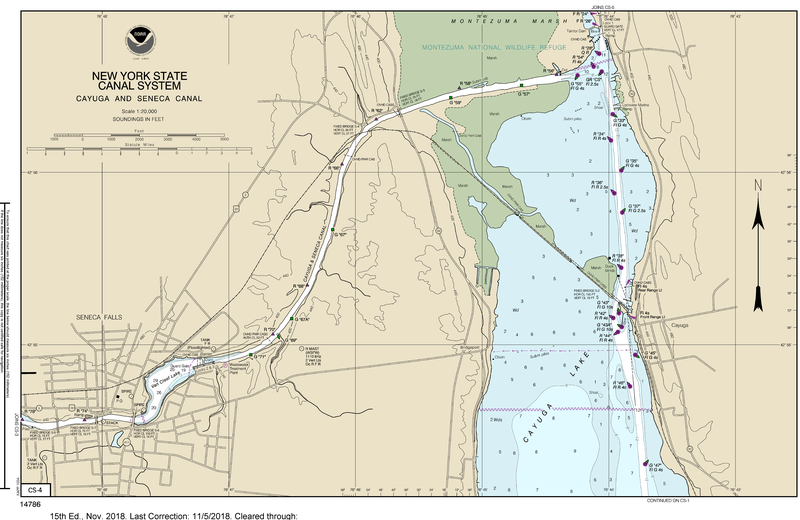 Features along the Cayuga-Seneca Canal (Seneca Lake branch) are listed by mileage at http://www.canals.ny.gov/wwwapps/navinfo/navinfo.aspx?waterway=senecalake.